A partnership between 17th century Dutch artist Adriaen van de Velde and 20th/21st century American artist Raphael Shevelev. The cow on the right followed me for an hour in the town of Eklingji, Rajasthan. 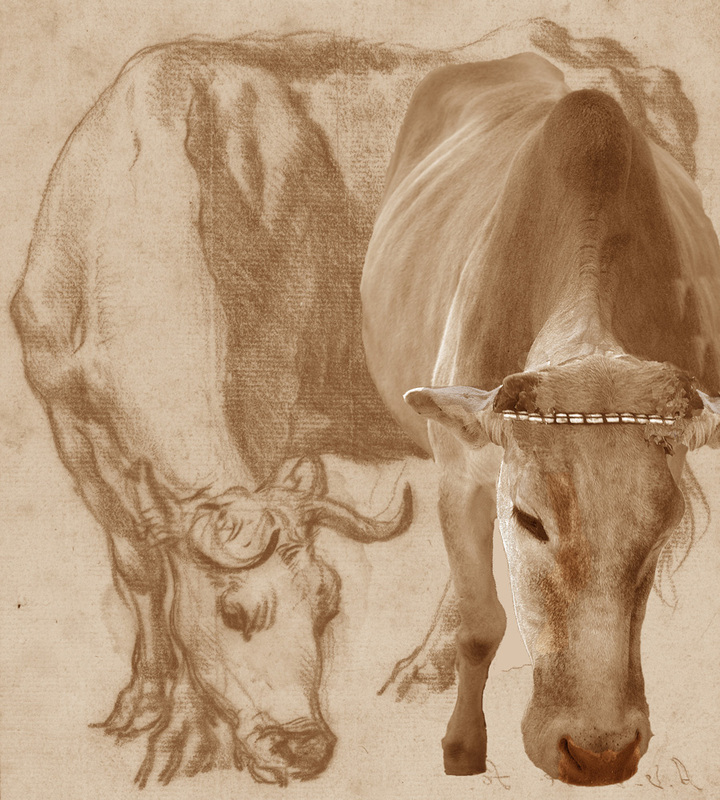 The van de Velde Cow Grazing courtesy of the Open Content Program of the J. Paul Getty Museum.